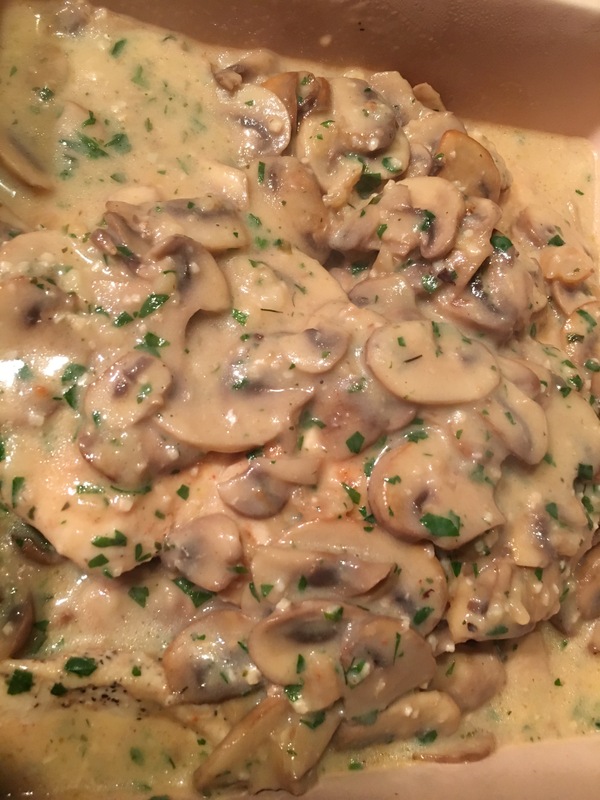 Quick weeknight chicken and mushrooms! – Hurried Home Chef! 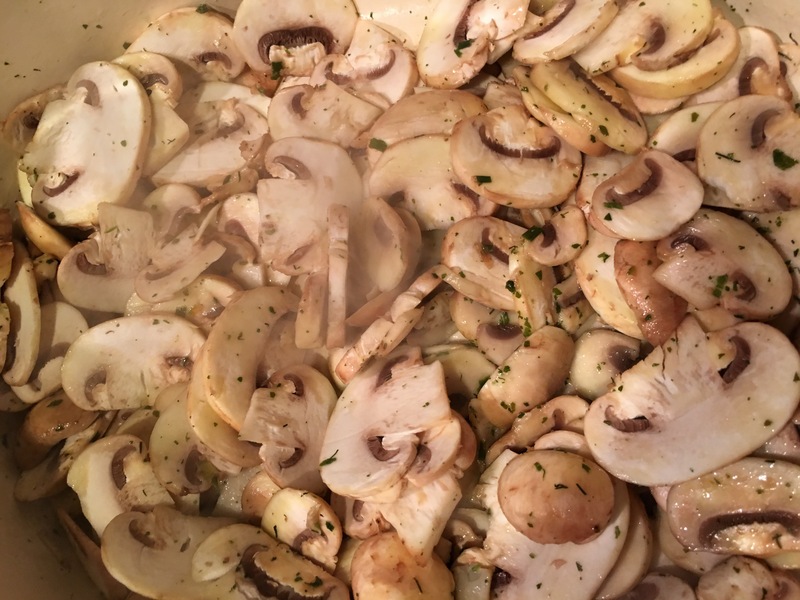 Quick weeknight chicken and mushrooms! I love this simple chicken dish. I keep most of the ingredients on hand. 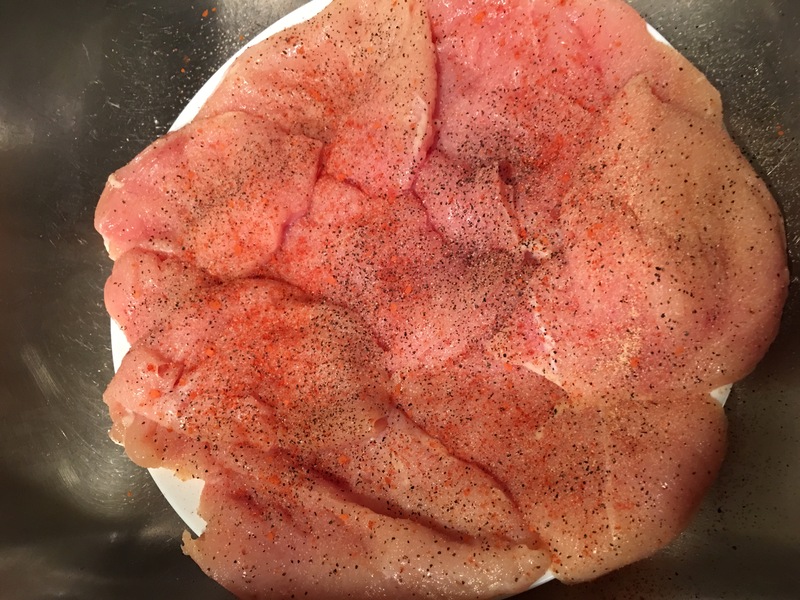 I had previously taken the chicken breast–cut in half lengthwise, pounded it, and seasoned with s,p, cayenne. In a large pot, I prefer a Dutch oven, brown the chicken with some EVOO. You don’t have to cook it through. Remove it and set aside. Melt some garlic butter, sauté the mushrooms, let them lose water then add salt. Try to get some crispy edges on them…love the texture. Remove them, set aside. Then make a sauce–rue first, 2 tbsp butter whisked with 2 tbsp flour. Add 2 cups of chicken stock and whisk. I add more garlic, frozen chopped parsley, frozen lemon zest, and a little cream. 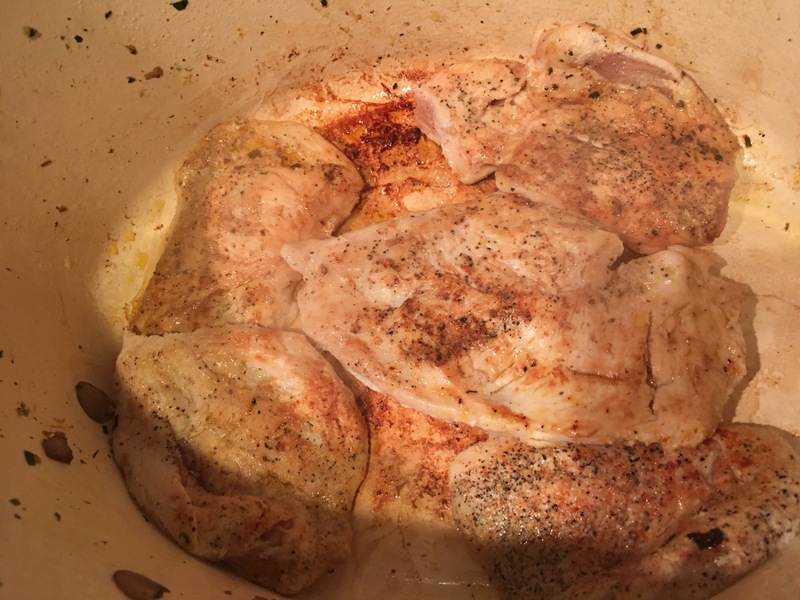 Return chicken and allow to simmer to finish cooking. Add mushrooms back and turn off stove. You can squeeze some lemon juice at the end. (Avoid doing this while on the heat, you can curdle the cream). This is good with pasta, mashed potatoes, or just fresh veg! Previous Post Week night dinner party part deux! Next Post Saturday night steak dinner!